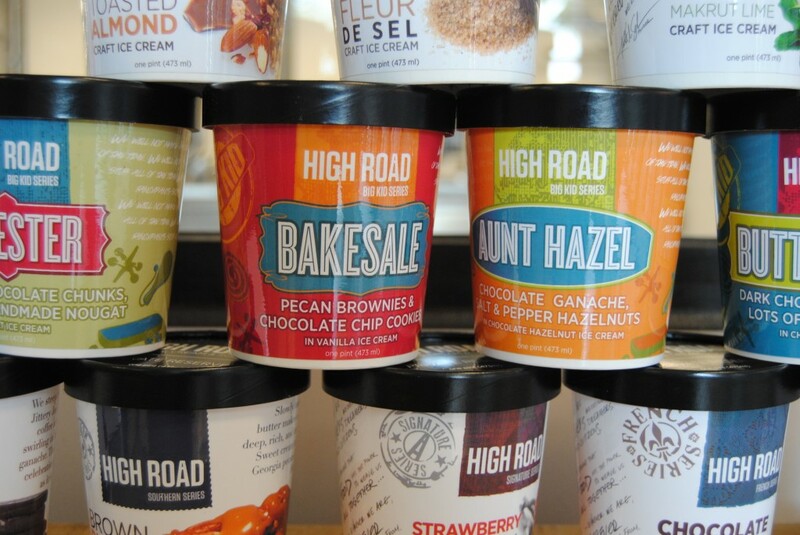 High Road Craft Ice Cream, made by chefs for chefs and ice cream enthusiasts, is moving from its original location in Chamblee, Ga., into a new and larger factory in Marietta, GA. After four years of growing a loyal following around the country as well as hometown Atlanta, the time was right for High Road to upgrade to a new facility that will be able to accommodate their increased production. Now, in addition to buying their favorite High Road flavors at select grocery stores and online, ice cream lovers will be able to visit the new factory to pick up popular flavors — such as Pistachio Honey Ricotta, Bourbon Burnt Sugar, and Vanilla Fleur de Sel — and get sneak previews of brand new flavors before they hit shelves. High Road’s new factory is primed to become both a local attraction for Atlanta-area residents as well as an entertaining and delicious travel destination for ice cream enthusiasts all over the nation. Just as beer lovers seek out breweries and oenophiles flock to the best vineyards, frozen dessert lovers will be able to visit High Road, where they can go on a guided tour through the factory floor for an intimate look at the ice cream making process. Some lucky guests will even meet Chef Schroeder when he’s on site overseeing production and conjuring up new ice cream flavors that is, when he’s not traveling to promote the brand or touring with his new cookbook Mad Delicious. As Chef Schroeder — who has twenty years of experience as an executive chef, caterer, and culinary instructor — dreamed up High Road’s chef-inspired flavors, he has a vision for the new factory: to increase High Road’s production capabilities and offer ice cream lovers a fun, unforgettable experience. Stylishly decked out with lavender walls and stainless steel against concrete floors, the dedicated visitor’s center, named the High Road Corner Store, will feature a large glass window through which guests can get a prime view of the factory floor, humming with the activity of High Road’s team of chefs hard at work making ice cream. It would be cruel to just look and not be able to taste. 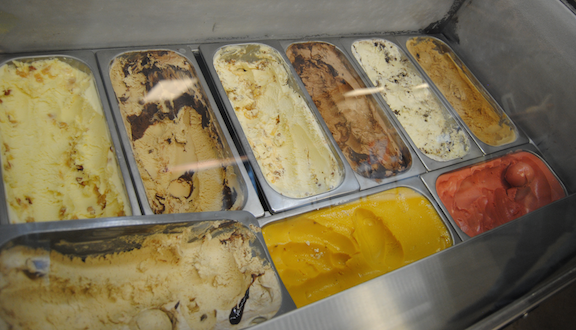 Luckily, at the Corner Store, guests can sample ice cream and sorbet flavors and even taste test new flavors before they hit shelves. 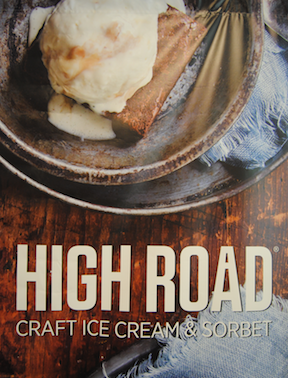 High Road will soon introduce their ice cream bars (“Roadsters”) and, on occasion, feature a limited dessert menu with classic ice cream preparations such as ice cream sundaes, egg creams, and ice cream sandwiches, which will rotate seasonally. Visitors will also be able to pick up pints of their favorite flavors—including some not available in retail stores—and branded merchandise. For those seeking an even bigger helping of High Road’s delectable ice cream, a “party size” professional 5-liter pan will be available (serves 20). In the upcoming months, Chef Schroeder plans to set up a Culinary Center and Test Kitchen where he and fellow guest chefs will present cooking demos and classes. The classes will be themed around both sweet and savory preparations, and will be offered for home cooks and eventually professionals. 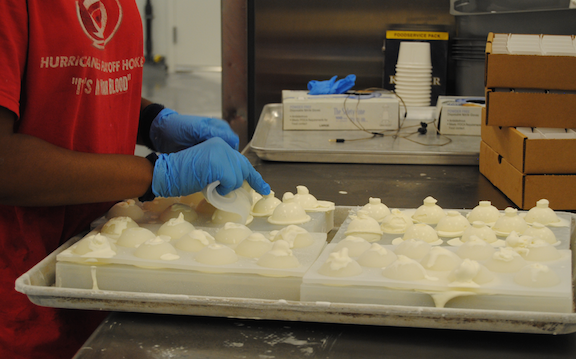 High Road Craft Ice Cream’s factory headquarters is located at 1730 West Oak Commons Court, Suite B, Marietta GA 30062. The Corner Store is open to visitors on Saturdays from 10 a.m. to 4 p.m., during which tours will be led for 10 people at a time at $5 per person or two empty pints of High Road Ice Cream (what a sweet deal). Children must be age 7 or older for safety reasons. For tour reservations and more information about High Road’s flavors and the new factory, please visit their website, like them on Facebook, follow them on Twitter and Instagram. Editor’s note: Photos by Angela Sun. Shaun Chavis and Melissa Zhang contributed to this post. This sounds great! I love Ice cream and I am so glad they moved he factory closer to me lol! I can’t wait to go! This. Is. Incredible. I’m in Marietta all the time, so I’m definitely going to have to tour the factory!